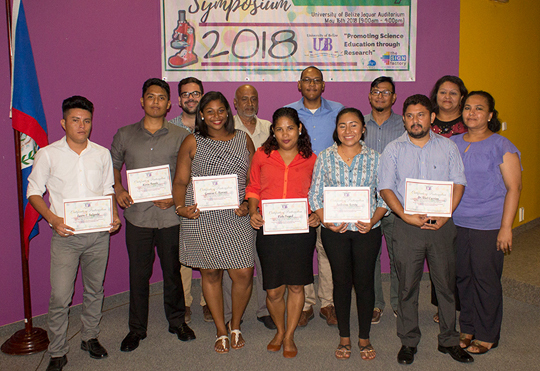 The Faculty of Science and Technology held its Fifth Annual Biology and Chemistry Symposium on May 16-17, 2018. It was held under the theme “Promoting Science Education through Research”. The Keynote address was delivered by Dr. Lucianno Chi Serrano, Research Coordinator, EU-IPDM, Head of Unit, Sugar Industry Research and Development Institute. His presentation was entitled “Effect of long-term sugarcane (Saccharum spp.) cultivation on chemical and physical properties of soil in Belize”. The presenters included students Andreina Acosta, Kareem Daniels, Geana Hanson, Kevin Novelo, Jason Salgado and Viola Tuyud. Faculty members Dr. Abel Carrias and Mr. Eden Garcia also made presentations. Mr. Trevor Barker, student from Eck Institute for Global Health at the University of Notre Dame also presented on the research he is carrying out on Aedes-borne Viral Transmission in Orange Walk Town. 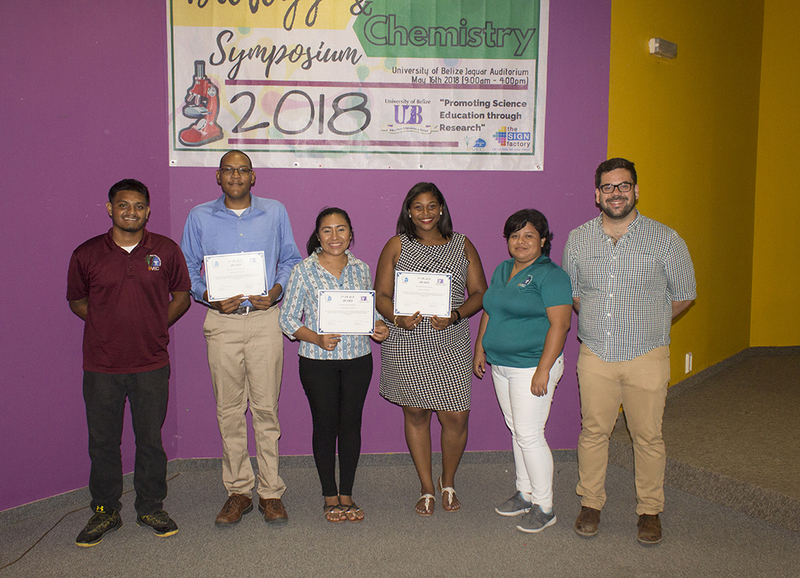 There was also a research poster competition where Kareem Daniels, Andreina Acosta and Geana Hanson were awarded first, second and third place respectively. The prizes were sponsored by Belize Vector and Ecology Center. Dean of the Faculty of Science and Technology Ms. Julianne Pasos commended all researchers and organizers of the symposium especially Ms. Karen Bautista who was the coordinator. Congratulations to all participants and the winners. Professor Emeritus Clement Sankat along with Dr. Bernard Watler, Dr. Jean Perriott, Dr. Vincent Palacio, Mr. Gilbert Middleton Jr., Mr. Ewart Robateau and Mr. Francis Burns met with the Mayor of Belize City Council, Bernard Wagner, and councillors on May 16, 2018. 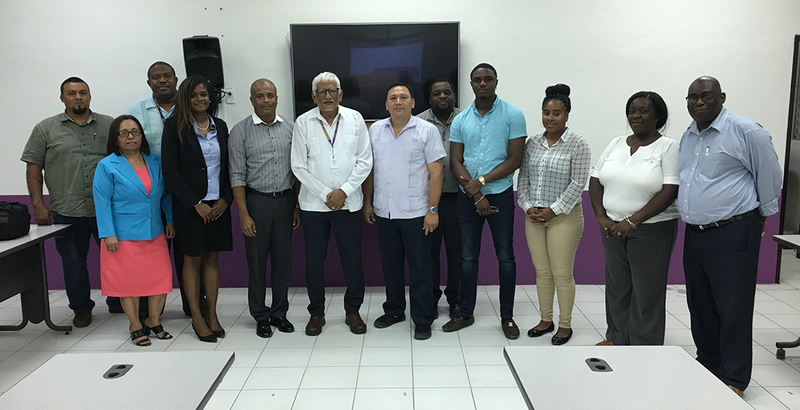 Professor Emeritus Clement Sankat presented the Transformational Plan highlighting the role of the University in Belize, and in Belize City in particular. Mayor Wagner thanked Professor Sankat for sharing his vision for the University of Belize. It was a highly interactive session where councillors commented on the University, its programs and its graduates and their readiness for the world of work and engaging in entrepreneurial activities. The Mayor also highlighted some of the key areas the council will assist UB with including: drainage at FEA campus, grass cutting in surrounding areas, planting of trees and beautification on campus and provision of jobs to students during their summer vacation. The Mayor will also be seeking partnerships for UB in order to have better lighting, security and build the cover for the basketball court at FMSS. The President thanked the Mayor and his councillors for the time taken to engage the UB and for the continued partnership with the city. 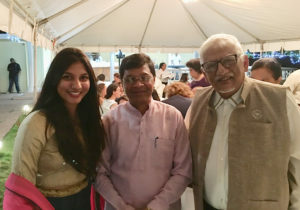 The President attended a reception to welcome the Minister of State of Tribal Affairs of the Government of India in Belize, Mr. Sudarshan Bhagat, at the residence of the Honorary Consul General of India to Belize, Mr. Arun Hotchandani. Also present were the High Commissioner of India to Belize, Muktesh Kumar Pardeshi, who is based in Mexico City; Governor General of Belize, Sir Colville Young; the Minister of Foreign Affairs in Belize, Hon. Wilfred Elrington; other ministers, Ambassadors and the former Prime Minister of Belize Rt. Hon. Said Musa. The Hon. 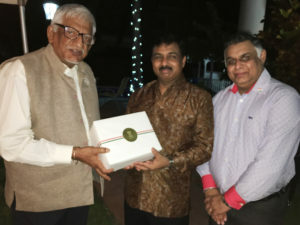 Minister and Ambassador were very enquiring on progress with the India-Belize Centre of Engineering (IBCE) Project that is to be executed on the Belmopan Campus. A MOU was signed in December 2017 by the Government of Belize and the Government of India to execute the IBCE project which seeks to upgrade and modernize the existing workshops at the Department of Engineering in the Faculty of Science and Technology of the University of Belize. A new workshop will be constructed on the Belmopan Campus through this project and a tender award is imminent for its construction. The President journeyed to the UB Central Farm Campus and met with visiting Faculty and students of Texas A and M University to the Central Farm Campus. The students are pursuing the degree in Agricultural leadership and accompanying them was Dr. Robert Strong, Associate Professor. These students were encouraged by the President to give all of their knowledge and skills to developing countries in the world so as to ensure a more food secure world and the development of agribusinesses/entrepreneurship in countries like Belize. 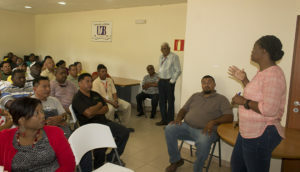 Professor Emeritus Clement Sankat and Ms. Hertha Gentle, Director of Human Resources, met with the staff of the Physical Plant and Public Safety departments on May 11, 2018 in Belmopan and by video conference with Belize City. President and Ms. Gentle shared with the staff current developments at the University. The President thanked the staff for the tremendous work they are doing to enhance the facilities, the ground etc. especially at Belmopan and for doing their best to ensure we have a University that is keeping our Students, Faculty, Staff and visitors safe.